The destination is the same for all of us. This is the road I’m taking. You are currently browsing the category archive for the ‘Nature’ category. I spent part of my morning doing chainsaw work for my dad. He’s been obsessing about getting it done, going on about how it would be an all day job, maybe even two, but he canceled the chainsaw rental twice because of the threat of bad weather. So, today he finally rented the thing and the work he wanted me to do took all of two hours to get done. So much for all the build up and trepidation. Part of the reason I got done so quickly is that my father had jury duty and wasn’t able to help me. I love the man dearly, but he only slows me down. It’s not entirely his fault. He’s old and has a bad leg, so that doesn’t help. Mostly though, he’s a futzer. For him, yard work has always been a leisure activity, something to piddle around with on the weekends. That gives a much different mindset than if, like me, you’ve done it professionally. I want to get as much done as quickly and efficiently as possible, just really attack whatever the job is, while my dad like to just poke along, doing this, then doing that. Hence why his “all day job” took me two hours. It did feel good, getting outside and doing some hard physical work. 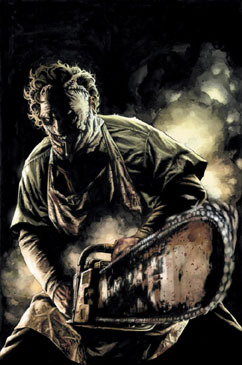 I’m really feeling it in my back from using the chainsaw, but it’s a good kind of sore. Now the question is; what to do with the rest of my day? I posted more on my Photoblog, so check ’em out there. Yep, my room is just Wild America these days, mainly because my window screens haven’t been replaced in my lifetime and I like fresh air. I was stung by a wasp today. Twice actually, once on the arm and once on the neck. That’s the price you pay for getting a little too enthusiastic about photographing their nest. All in all though, it was a good day. Kendra and I went to the Kay Environmental Center in Morris County, NJ for a photo safari and I took over two hundred sixty pictures. Some were quite good and some were total crap. The one shown above is my favorite of the lot. I haven’t processed them all yet, but I will by the end of the weekend. I also learned a couple of things on the trip. The first being not to get too close to potentially dangerous photo subjects and the second is to bring my tripod with me in case of low light conditions. It was overcast all day and when we got into the woods, things got a bit gloomy. The problem with that being that your camera aperture has to stay open longer to let enough light in for a good picture and that means any had shake you have going on becomes much more pronounced. I had some potentially excellent pictures come out blurry, which was frustrating. I thought I’d gotten over my need for a tripod, but I realize now that most of my forays have been on bright sunny days. Ah well, if I knew it all, what fun would life be? My reaction to the stings was interesting. Not the physical one, mind you. I’m not allergic, so it was just a bit of pain that quickly passed. However, I enjoyed the adrenaline rush way more than I should have. A little danger really spiced up my day. Heh, if Kendra hadn’t been there, I may have gone back and taunted the wasps some more. Best that I didn’t though. After all, the wasps weren’t bothering anyone. It was me who invaded their territory.